Divorce isn’t easy for anyone involved. The husband and wife, kids, grandparents, friends. Everyone will be affected in different ways. The key thing is to navigate the process and negotiations in as calm a sea as possible. In my experience, dads can often feel like they get the rawest deal when it comes to divorce or separation. Men and women do deal with things in different ways and have different priorities or considerations. For both though, there are things they can do to help them through the dark times to come out the other side. For men there are some specifics which can help move things on, manage stress and make for a more amicable process. This article pulls together some of our top divorce tips for men, drawing from years of collective experience at Woolley & Co.
How should a man prepare for divorce? Think carefully first. I know it sounds like common sense, but a lot of clients don’t really think through the consequences of their actions before carrying them out. For example, the angry father who issues an ultimatum to his wife so that she can see that he will not be putting up with any nonsense from the start. This is not a helpful way to start matters. This will instantly put the wife on the defensive and potentially strengthen her resolve to make him suffer. Once solicitors are you can quickly get into a situation where correspondence is flying back and forth with allegations and counter allegations. If no negotiations are entered into to try and resolve the situation before you know it court proceedings are issued and a Judge is being asked to determine what is best for the children or how the assets should be divided. So basically STOP, THINK and perhaps most importantly LISTEN. Stop before you take any rash actions or say things you might regret. Sometimes this might mean biting your tongue, but it will be worth it in the long term. Think about the likely impact your decision will have on your wife, and your children. Think about how your behaviour likewise will impact on them. Your decision might come as a shock to your wife and her behaviour could be driven by emotion, when you are thinking very rationally. Be prepared to listen to the advice given by the professionals, but also be prepared to listen to your wife. Listen without reacting and you might find you can move things along more amicably than if you respond in anger or defensively to things she might say or claim. Don’t however listen to advice from “that bloke down the pub”. Many people these days have a story about divorce, for a lot of them it will be first-hand – but every separation is unique. What was good for another husband or father may not be good for you. Listening to your mate in your local who tells you he know what you should do may, at best, give you a false view of what will happen. At worst, it could cost you money, time and damage relationships with family, friends and, potentially, your children. If you are considering making the first move in a divorce, make sure you have a plan and have considered all the implications. The decision you are about to make will have far reaching consequences and change your life – and that of others – forever. This is the best divorce advice for dads that I know. True also for mums, of course, and should be the central consideration for all couples going through a family breakup. You need to try and keep things civil with your wife for the children’s sake. It is understandable to want to discuss the situation with the children, particularly if you feel you have been wronged, but you need to remember that they are the innocent party in these matters and that they need to remain children, rather than having adult conversations with you about the situation. Of course, you should tell them that there is going to be a change in their circumstances but reassure them that you and your wife are doing everything possible to agree the arrangements and that you will of course always be their dad. You may stop being husband and wife, but you will never stop being parents and so should try to maintain a constructive ongoing relationship for the sake of your kids. It is what is important for them that is most important of all. Do not get them involved in any discussions about the divorce. It is not fair on them, can cause lasting damage and is only likely to cause more heartache. As tempting as it may be don’t use them as messengers between you and your wife. If you need to get a message through to your wife then do it directly, and if she tries to use the children to pass messages to you respond to her directly. Don’t say negative things about their mum, you may no longer have feelings for her, but they certainly do, don’t put them in a difficult position. There is an old cliché that woman can keep an argument going longer than a man. 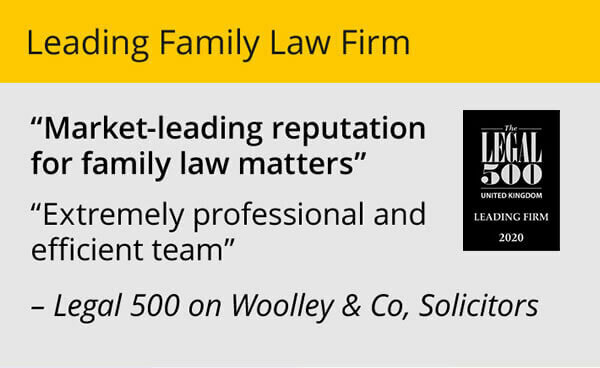 From our experience in the family law sector, both sides can be as bad as each other on this. However, prolonging an argument, digging your heels in, arguing a point of principle – none of these things do anything at all to help in a divorce negotiation on any topic. Do whatever you can to reach an agreement without ending up needing to go to court to seek a judge’s view. Going to court guarantees only that things taking longer and cost you more. It guarantees neither side the outcome they want. If you find it hard to talk to your wife without things getting heated consider mediation – it’s not a soft option as some might think and it could help you come to that agreement, or clarify the things you really need legal advice on. Be prepared to negotiate firmly, but fairly. Bearing in mind what I have said above, you still have the right to stand your ground if you feel you are being unfairly treated. However, bullying tactics won’t be appreciated by your wife, her solicitor or, should it come to it, the courts. You might not think you are bullying but sometimes men in a stressed situation come across as aggressive, which is intimidating and can bring out the worse in the other party. 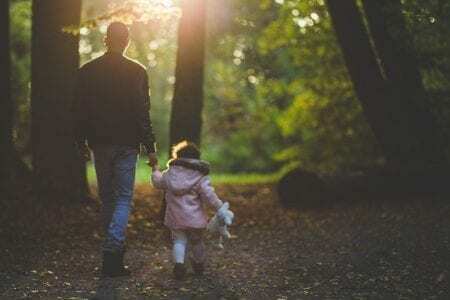 There is something of a misconception that the law is anti-dads, when it comes to divorce and them seeing their children. There are in fact no hard and fast rules about where children should live and how much time they should spend with each parent after divorce. However, it is true that practical considerations must be considered. The age of the children, school arrangements, each parent’s ability to care for their children, coupled with the location and facilities where each parent lives will need to be considered. In terms of rights – the law concerns itself with the rights of the child. A right to have a relationship with both parents, provided that is in their best interests. What the law doesn’t attempt to set out is where a child should live or how much time they should spend with each parent. That’s really down to the parents to agree, or if they are unable to do so, for the court to decide and make a court order, in the form of a Child Arrangements Order. 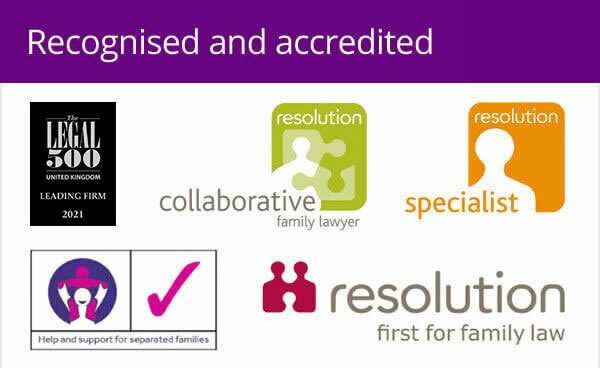 If you are considering divorce make sure you use an experienced family law specialist who is on your side. A specialist who you can get on with is worth their weight in gold and is very cost-effective in the long run! They can explain the pros and cons and should always advise the amicable approach, suggested above. It is not that divorce is harder on men, it’s that they deal with the emotions at a later point than women do. Typically, it is the woman who initiates the divorce and because of this, she begins what I call the “Emotional Shut Down Syndrome.” During the relationship she decides it is over and she begins the grieving process, leading to a point where her emotions are severed from her husband. This can take many months or years to happen. By the time she informs her husband she wants out of the marriage, he is at the beginning stages of the emotional roller coaster ride while she at the end. Regarding counselling for men, I agree, they tend to have an aversion to going. Eighty-five to 100% of my clients are men who come to me for divorce. Although by training I am a marriage and family therapist, my work is not counselling. Instead, I work with men for no more than 1-2 sessions using mediation techniques to get them through the challenging period. Basically, I’m not in the business in emotions but in telling them what they need to do. They respond favourably to this. From my experience (but avoiding stereotypes), I find that men tend towards a practical approach to problem solving and take what is said literally, whereas women tend to express themselves and problem solve in different way. I’ve seen cases where husband & wife have the same goals (ie. achieving what’s best for their kids), but need translation to properly understand what the other is saying and meaning. The difference in communication also extends into coping and being open to help, I agree the men tend to be adverse to going to “counselling”, but call it something else and they can be easier to convince that it’s a good idea – perhaps a “counsellor” for women, and a “solutions coach” for men? Based on the longevity figures for men v. women when widowed, my educated guess is that men psychologically fare less well, on average, after long-term marriages end, than women do, unless they remarry. The only good news for them is that above a certain age, so many of the other men have already passed on, that the remaining suddenly single men may find themselves to be hot commodities, if they’re at least coherent, continent, clean and solvent. I noticed early on in my practice that women and men handle divorce very differently, especially when they are not the party seeking the divorce. When a woman comes into my office because her husband is divorcing her, she is very often distraught, at a loss as to what her future holds, sometimes desperate to hold onto a life she thought she had, and traumatized by the fact that her husband has left her. However, by the end of the process, she is usually in much better shape. She will often have a handle on her new life, have her social networks in place, and generally have a plan for her future. Men, on the other hand, will come to my office and appear to be in better shape initially when they are being divorced by the spouse. But as the divorce process continues, they become more and more unhinged and are more of an emotional wreck by the end of the divorce. I think it is because men are in survival-mode in the beginning, and when they accept the fact that they are getting a divorce, they decide to just deal with it on a business level and move on. But they don’t really deal with it on an emotional level, and the emotions come back to haunt them. Women, however, may come close to an emotional breakdown when first confronted with the loss of the spouse, and then slowly but surely begin to rebuild their lives. I think the word “coaching” is helpful in getting men to seek the help they need, and I suggest a visit to the doctor for meds if the client has trouble coping. (That advice goes for women, too). I am a big fan of therapy and urge my clients to consider it in almost every case. Bravo! I hope the men out there listen and the women out there, give them a chance to take the right approach and do not hold a grudge for past errors. I cannot fathom how we as a society have arrived at a framework of legal practice that allows for the level of discrimination that we see in cases of divorce. Everything I read describes a foregone conclusion that penalises the father/husband to a great degree regardless of the fairness of it. The idea that pursuing divorce in many cases is to in any way ‘put the children first’ turns my stomach. Divorce and justice are terms that should never be interlinked. Let me know when there is a divorce solicitor ready to challenge the status quo, rather than dolling out the same old tripe time after time. I’m sure it pays the bills, but the habitual destruction of families is a massive societal issue, and such ‘matter of fact’ articles only serve to perpetuate that issue. While this isn’t the only firm of solicitors to profit from the sham that is divorce law, it is one of few that are brave enough to invite comment. Let’s see now whether they are brave enough to keep the comment, or better still, reply? Jeff’s view is one commonly held. Hey, Jeff; I didn’t make the law! I just have to advise upon it as it is, whether I approve of it or not. MPs make the law so ask them if you want it changed. For our part, you’ll see a lot of Blogs on here making suggestions for change. We want change to help make divorce better. It is one or more of the married couple who cause the divorce, not us. We are involved after they have decided the marriage has ended. I don’t agree that men are discriminated against normally. I think this is often assumed by the fact that even in 2014, it is normally the man who has more money thus pays more out. Also, again even in 2014, it is often the woman who has had the main care of children and/or has flexible hours or less hours at work so “gets” the children. 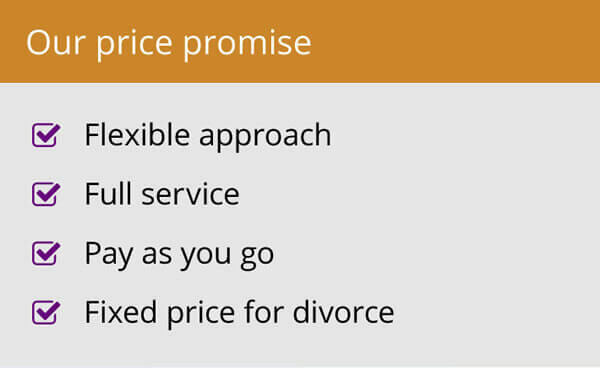 It’s true to say that we do make a profit from advising on divorce BUT we only get a good profit by doing a great job. To my mind a great job is to make divorce as painless as we can and that will often mean advice to do things which mean a lower bill. I have worked hard for many years and had thought my marriage was, apart from very occasional differences, normal and happy until we relocated to france. My wife hated it, but our sons were doing well and we had a good lifestyle and I built up a good asset base to give her and my sons a secure future. My wife became moody and finally said she wanted to return to the UK and take over our cottage, which provided additional income to support my pension. I am 15 years older than my wife and we have two sons, 19 and 17. She is now demanding I sign over our cottage in the UK, which is worth about 50000 euros more than our home in France, which I and our sons love. If I do that, and then lose the income from the cottage, we will have to sell our home, as my sons have no income and my 19 year old will be going to university in September. I am between a rock and a hard place. If I sign over the cottage in Honiton, then we lose our home here, but will only be able to just afford a very small place and even then it will be difficult. There is no other woman (or man in my wife’s case) and we have been together for 34 years, so I cannot just hate and argue, especially as that affects our sons. French law is different and is not interested in reasons for the split up. My sons love France and now have 3 languages, which is the main reason we moved here. My wife stays in bed all morning, then the rest of the day she is on computer into Facebook or other religious websites. She has not worked for over 20 years and I am still working at 72 years old. I am exhausted and need to get something sorted out, but she will not move out until I agree to give her the cottage, her car and enough furniture to fill the cottage. That would equate to about 65% of our assets and leave me then with a home I cannot afford and the stress of supporting our sons. I have no way forward. Thank you for taking the time to comment on the blog, Lee. This must be a very difficult situation for you. We have sent you contact details, so if you would like to discuss possible legal options for you in this country then please let us know and we can arrange for you to speak in confidence with one of our lawyers. I am in the process of divorce and financial settlement. There are no children involved. My wife and I have never had shared bank accounts or assets of any kind. I paid for everything throughout our marriage and provided my wife and her son with free board and lodging for over 20 years. I owned my house before my relationship and now it appears that by law my wife is entitled to a large percentage of my assets including my super. My wife has her own super, a long running business and other assets. The Australian Family Law Act is in my opinion nothing more than legalised theft. Andre; I am sorry to hear that. Of course, we work only in the law of England and Wales but it is fairly similar to Australian law. I imagine you are both entitled to shares in each other’s assets and not just she in yours? Anyway, I do hope that you can resolve this by discussion and avoid an unpleasant and expensive Court hearing.